I have two words to say after reading The Unbecoming of Mara Dyer: Noah Shaw. Okay, I’ll say it again because you have to read this series for Noah Shaw. Noah Shaw. He was everything a character should be. I am a huge fan of characters that can make me feel a wide range of emotions; Noah made me laugh, swoon, and want to shake him with frustration. He was the perfect counterpart to Mara. She was lost, confused, alone, and in such a mental state of disaster that the change in her when she met Noah was noticeable. 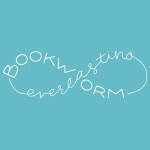 Too many times throughout The Unbecoming of Mara Dyer I had to put the book down because my emotions were overwhelming. Reading Mara and Noah together was more heartwarming than a lot of romance I’ve read in various books. Their chemistry was astounding. Seriously, every time I think of them I end up giddy with happiness. There was an intriguing paranormal mystery in The Unbecoming of Mara Dyer, as well, that got me invested in finding out what happened the night Mara lost her three friends. There really is a lot more to the accident that killed three of her friends, but left her alive. The ending to The Unbecoming of Mara Dyer is the exact reason why I try to wait a series out until they’re all written. Cliffhangers drive me mad! They are so good, but at the same time waiting until the next book is out is excruciating and this book had a good one. Or a bad one depending on your point of view. Thankfully, I have all three books so I am definitely starting The Evolution of Mara Dyer immediately. 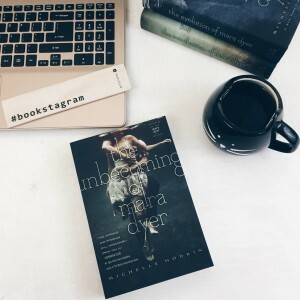 ” Too many times throughout The Unbecoming of Mara Dyer I had to put the book down because my emotions were overwhelming” – this is exactly the kind of sentence that when I read in book reviews immediately makes me want to run out a buy the book.